OFFREDO BOSELLI’S NEW BOOK, The Spiritual Meaning of the Liturgy: School of Prayer, Source of Life (Liturgical Press) due out in September, is likely to take on the essence of living the liturgy and therefore, evangelization. We know a bit about the book as Chapter Ten, “Liturgy and the Transmission of Faith” was originally published in 2008 as Liturgia e transmissione della fede oggi, Testi di meditazione 143 (Bose: Qiqajon) It is written for a post-modern people of the twenty-first century, especially those in an increasingly secularized Western Europe, to say nothing of the United States. In citing the “vital relationship” between the scriptures and the liturgy, we gain a greater understanding of the role of sacred music. As the mass is a sung prayer, and scripture the foundation of the liturgy, then it is the scripture that we primarily sing. This is simple, profound, and revolutionary. In any parish setting, it is incontrovertibly the liturgy that is the front-line of engagement and drawing in the faithful. One generally becomes more involved in a parish after being drawn in by the liturgy. It is a sort of “ministry of first impressions” that matter. This is why preparation is essential which the faithful deserve. Boselli further warns of giving into sensationalism for the sake of transient emotional sentiment. If the liturgy is a “worship in word” the emphasis of sacred music, therefore, must be on the word and not sentiment. Again, this does not preclude beauty. In fact it demands beauty, as the only thing worthy of the Word of God. This beauty therefore must point to God, not towards our personal feelings, sentiments or a self-congratulatory celebration of community. 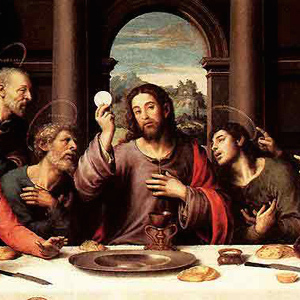 HERE IS A DECISION we must make in light of evangelization: Do we focus on ourselves, reaching a mile wide but a centimeter deep, or do we engage fellow Christians one at a time, as we unite in the Word and in the Eucharist? Ironically, if we do the latter, our faith communities will be stronger than ever. Remember, it is God alone who calls us to Himself.